Ken Landis was his instructor at Douglas. He soloed at Douglas August 24, 1944. He lived in Lynn, MA until 1951. He went back into the service for the Korean War. He stayed in the service. He was killed on Feb 16, 1954 in a plane crash in South Dakota. Graduated from Blytheville, AR. S/N: O-842008. 2nd Lt.
See FindaGrave (although death date is recorded incorrectly). Click here for his wedding picture. Student Officer: 2nd Lt., eventually promoted to 1st Lt.
Bob Howell was his instructor. “Flight Officer U.S. Army” per gravestone (see FindAGrave). Born Sept. 25, 1924 in Lakeland, FL. Graduated from Craig Field, AL. S/N: T-69206. He graduated from Craig Field, AL S/N: O-842116. He finished flight training. 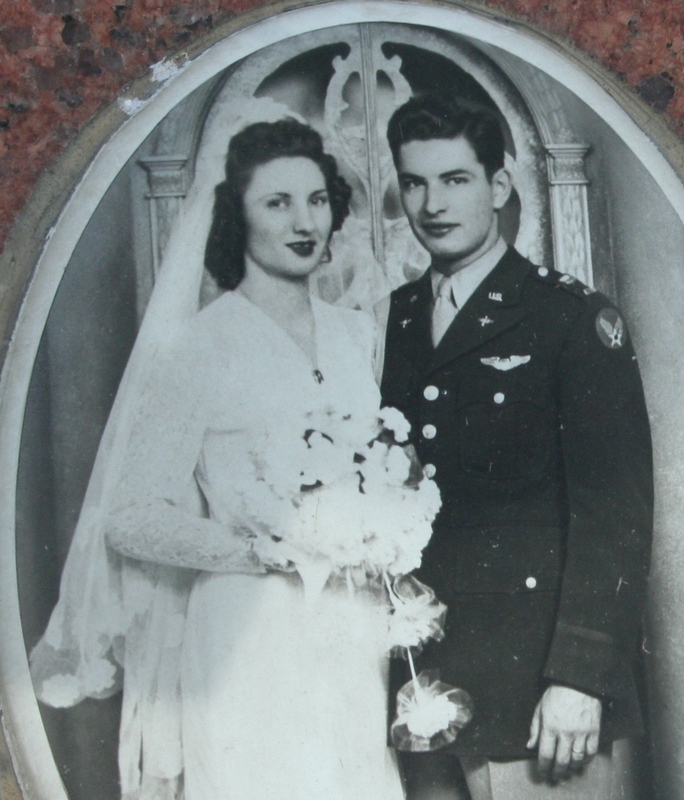 He went to OCS and made Lt. Col.
Married April 30, 1943, in Colorado Springs, to Betty Bartell. Died April 21, 1991 in Casper, Wyo. Kenneth Landis was his instructor at Douglas. Click here for a group picture. Basic at Greenville, MS and Advanced at Craig Fld, AL. 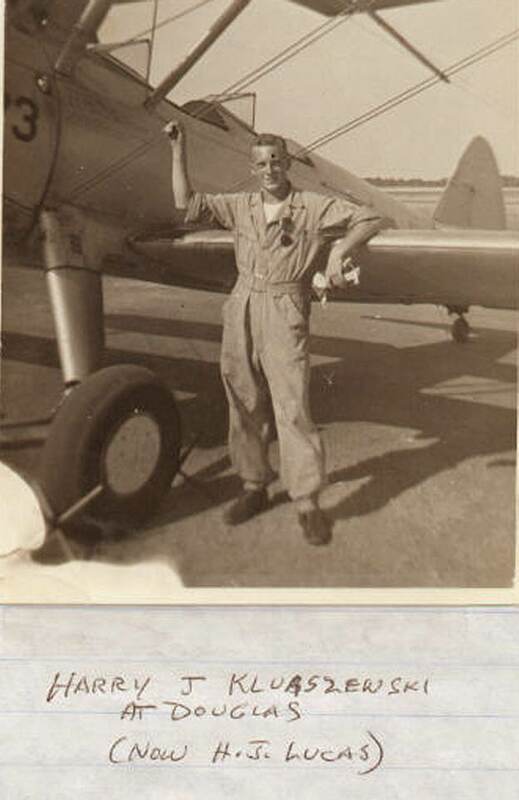 He was flying P-40’s at Napier Fld, AL. when the war ended. Lieut. Died January 25, 2008, in Maryville, TN, age 86. Rundlett was his instructor. He graduated from Craig Field, AL. S/N: T-69325 and was assigned to Dothan, Alabama when the war was over. He was flying P-40’s. Born July 24, 1925 in St. Paul, MN. Died in Fort Walton Beach, Fla. Jan. 28, 1999. Bob Howell was his instructor. He was S/Sgt while at Douglas. He had basic at Cochran, Ga. and advanced at Craig Field, AL. S/N: O-842116. He was in gunnery training at Elgin Field when the war stopped. He was discharged October 3, 1945. 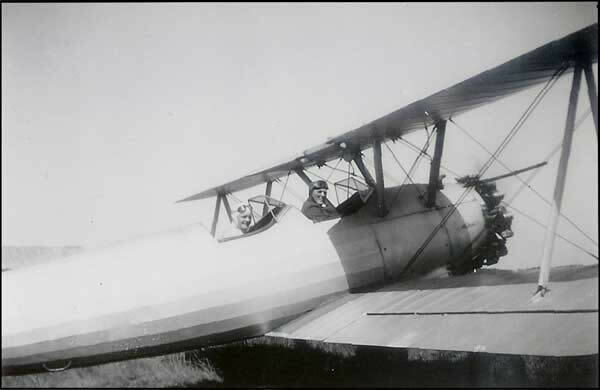 1st Lt.
Bob Howell was his instructor. He had Basic at Greenville, MS. and Advanced at Craig Field, AL. S/N: O-842112. He was in Fighters and in gunnery training when the end of the war was declared. He stayed in the Reserves and retired as Lt. Col. He has been flying and the owner of airplanes in his business career. He soon went into the reserves. He was involved in the Sandia National Labs, and the Atomic program. Capt. Bob Howell was his instructor. Click here for a group picture. Born on the Eastern Shore of Virginia in Parksley, Virginia on Feb 14, 1922. He graduated Parksley High School 1939. Before becoming an aviation cadet, he was in the Civil Air Patrol flying antisubmarine patrol.At Douglas, John Bassee and Jimmy Lillich were his instructors. (See him in PT-17 with Lillich). Like others in this class, the War was over before he went overseas. 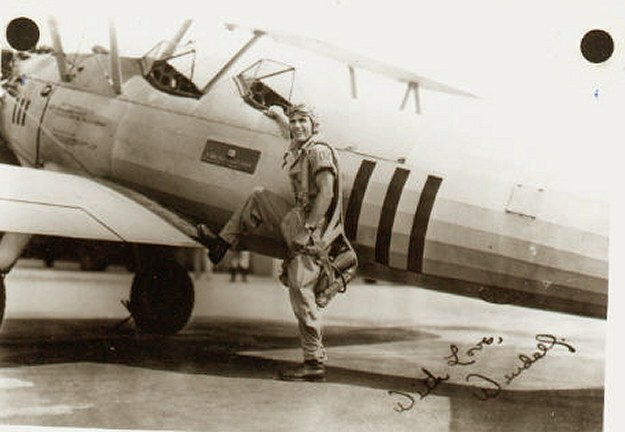 Click here for his picture on his PT-17 at Douglas. Harold graduated from Blytheville, AR. S/N: O-842015. 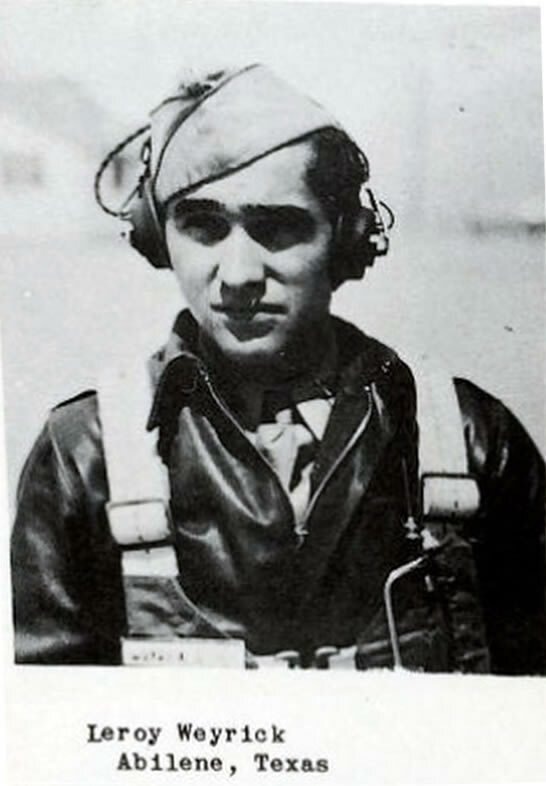 He stayed in the Reserves, flying AT-6’s even though he graduated in Twin-Engine. Most of this was in Madison, Wisc. He graduated from Craig Field, AL. T-69335. He was just getting started flying fighter when the war was over. Landis was his instructor. Click here for a group picture. He graduated as a bombardier from the Class of 45-15B at Big Spring, Texas on June 9, 1945. Graduated from Craig Field, AL. S/N: O-842119. Graduated from Craig Field, AL. S/N: O-842168. Died Feb. 5, 1997 Age 75 in a Bryn Mar hospital. Roger graduated from Craig Field, AL, S/N: T-69339. Graduated Craig Field, AL. S/N: T-69340. 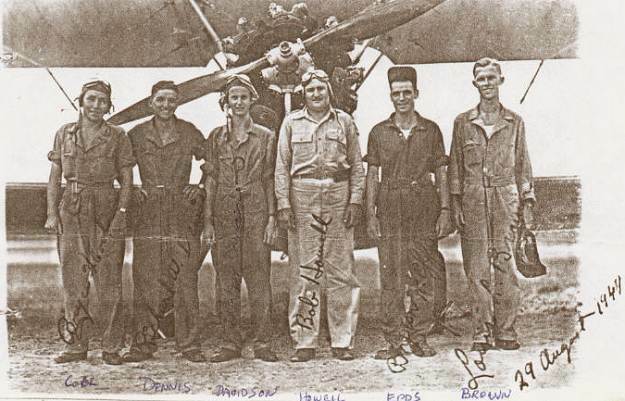 Lonnie washed out at Douglas and became a Tail Gunner on a B-29. Graduated from Craig Field, AL. S/N: O-842124. He graduated from Blytheville, AR. S/N: O-842033. His service was all in the USA. He was discharged from the Reserves as a 1st Lt.
Died March 29, 1998 at the age of 77 years. He graduated from Blytheville, AR. S/N: O-842098. On Sept 12, 1951 at 6:45pm, he was piloting a T-11 training plane with another officer and was cleared from the flight tower in Memphis, TN to make a 3rd and final landing on its routine training flight. A thunderstorm was raging and the flight tower warned of 15-20 MPH gusts. Witnesses said a yellow flash shot from the plane’s engine and a trail of black smoke came from the engine. The plane then crashed. He and 3 others were killed. He was 31 years old. [Source: Greensboro Record (Greensboro, NC), Thursday, September 13, 1951, Page: 28. Robert Wilson was his instructor at Douglas. Click here for him with his Stearman Basic was at Greenville, MS and Advanced was at Craig Fld, AL. Died Aug. 30, 2005, in Winfield Township, PA. Graduated from Craig Field, AL. S/N: O-842127. Born Aug. 22, 1917, in Benson Illinois. Died Feb. 19, 2001 in Peoria. He had been in the R.O.T.C. at Penn State Univ., then in flight training. He graduated from Craig Field, AL. T-69343. His service was all in the U.S.A. 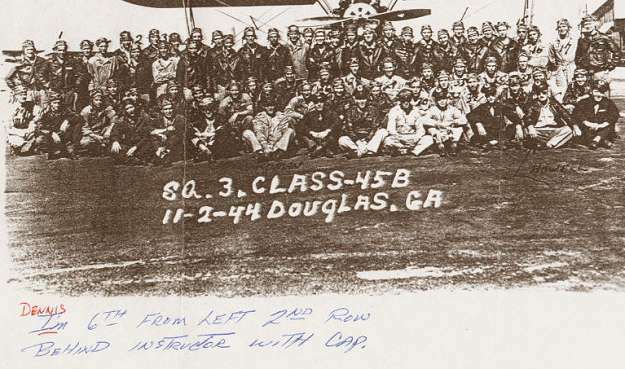 Graduated from Craig Field, AL T-69344 (Note that Robert Waller Lee is shown with the same number). He graduated from Craig Field, AL. S/N: O-842169. 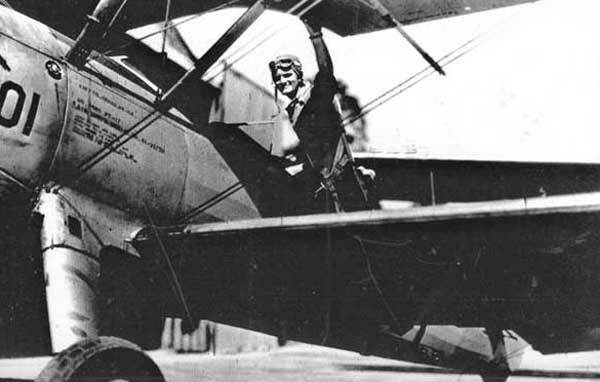 After the war he worked for Boeing in the Los Angeles area. That plant was closed and he moved to Washington State and worked for Boeing there. 2nd Lt. Graduated from Craig Field, AL. S/N: O-842170. Class 45B was extended to 15 weeks instead of the usual 10 weeks. They were given 90 hours instead of the usual 60. 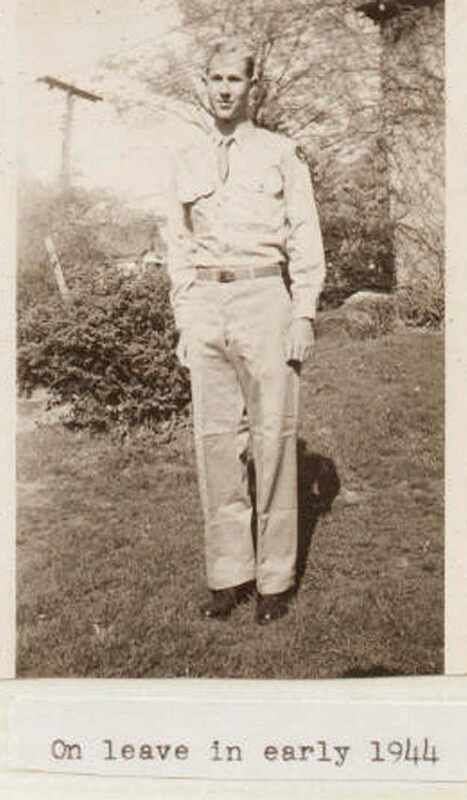 Jim went to Basic at Greenville, MS and graduated from Blytheville, AR on Apr. 15, 1945, S/N: O-842058. Records show he was a Captain in the USAF reserves in 1958. He stayed in the Air Force until 1974 and then retired as a Lt. Colonel. He had 5250 hours pilot time. He washed out at Greenville, Miss. He became an Armorer in B-29’s. Harold Strutz was his instructor at Douglas. He graduated from Blytheville, AR. O-842060. His service was all in the USA. He stayed in the Reserves and made Captain. Lloyd Treadaway was his instructor at Douglas. He graduated from Craig Field, AL. T-69348. He was discharged shortly after graduation. 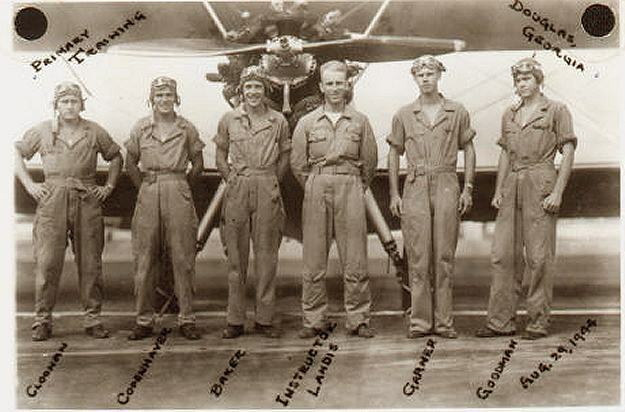 John Bassee and Lt. Pringle were his instructors at Douglas. He washed out on his 60 hour check at Douglas. 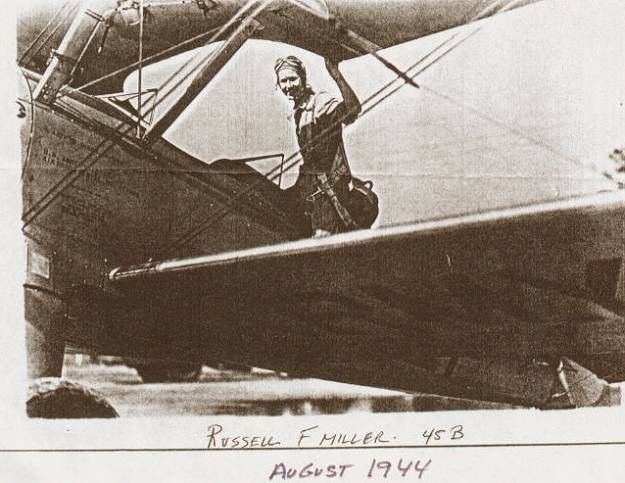 He went to the Mechanic’s School at Keesler Field. He then became a Mechanic/Crew Chief on C-46 and C-47’s for the rest of his service. Then he earned his degree in Aeronautical Engineering. He served in Korea as a Group Engineering Officer. 1st Lt. Graduated Craig Field, AL. S/N: T-69349. From his obituary [Pittsburgh Tribune-Review (PA) – Monday, February 23, 2009]: “George was a first lieutenant in the Army during World War II and a was a retired ceramic engineer for U.S. Steel research facility in Monroeville. He was a 1939 graduate of Penn State with a B.S. in engineering and, in 1948, he earned his Master of Science from Penn State. In 1965, he was elected as a fellow of the American Association for the Advancement of Science. Harry graduated from Blytheville, Ark. S/N: O-842066. His Service was entirely within the USA, flying bombers. 1st Lt. Graduated from Blytheville, Ark. T-69294. Owen graduated from Blytheville, Ark. S/N: O-842101. He served from Truax Field, Wisc. Later was called to fly RF-80s in Korea. 1st Lt. Graduated from Craig Field, AL S/N: O-842743. Died May 4, 2010 in Bethany OK.
Roberts, James P. T. Jr.
Joe Goyne was his instructor at Douglas. He had Basic at Gunter Fld, AL and graduated from Columbus, MS. 2nd Lt. He had Basic at Greenville, MS and Advanced at Blytheville, AR. He became a Flight Officer. Howard graduated from Craig Field, AL. T-69369. He was discharged very shortly after he received his wings. Lillich was his instructor at Douglas. He had basic at Stewart Field NY. He graduated from Moody Field, GA. He went into B-25’s. Retired from Nat. Guard as LTC. Harold graduated from Craig Field, AL. T-39369. He was discharged very shortly after receiving his wings. He graduated from Blytheville, AR. S/N: O-842088. S/N: O-664852 He flew his tour of missions with the 99th Bomb Group 348th Bomb Squadron as a bombardier and received the Air Medal with nine Oak Leaf Clusters during the middle of 1944. He had graduated from bombardier school with Midland Class of 42-13. 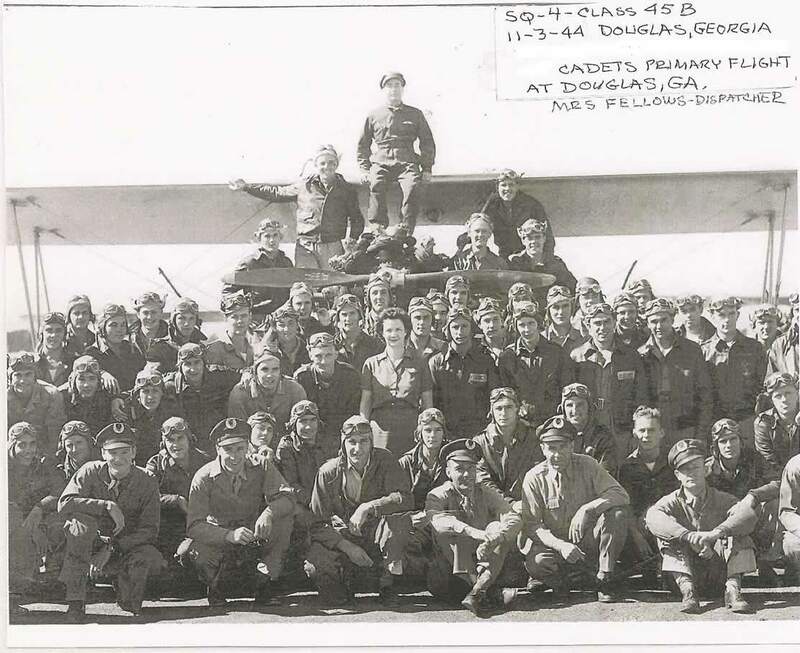 He apparently applied for pilot training in anticipation of the Invasion of Japan and began his training approximately the 7th of August 1944 with the Class of 45B at Douglas, where he was a Student Officer: 1st Lt.